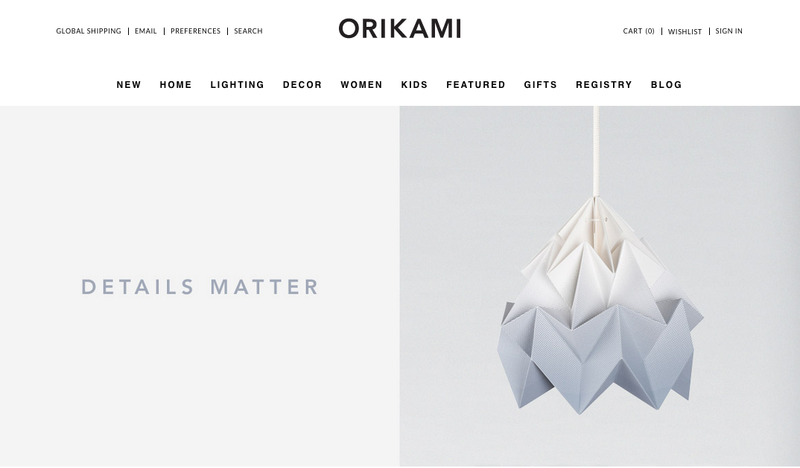 I am so happy to let you all know about this gorgeous new origami inspired shop called Orikami, which was recently launched in New York! 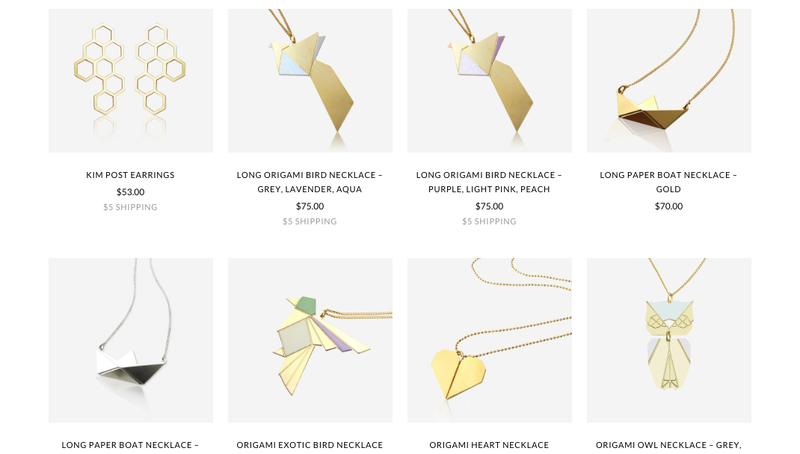 Not only does Orikami stock a selection of items from Handmade By Me (origami birds of course : ) ) but they have the most INCREDIBLE collection of all kinds of other beautiful origami inspired products from around the world. 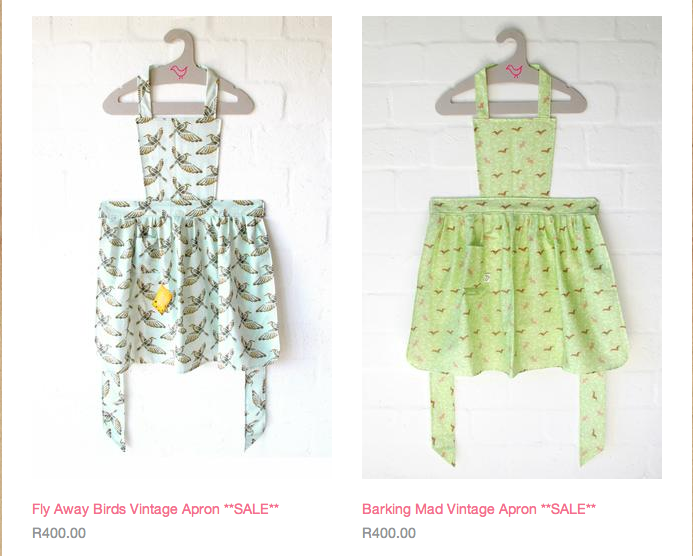 See for yourself, having a browse through this shop is in itself a treat! “ORIKAMI is a specialty concept store inspired by the ideals of traditional Japanese origami. 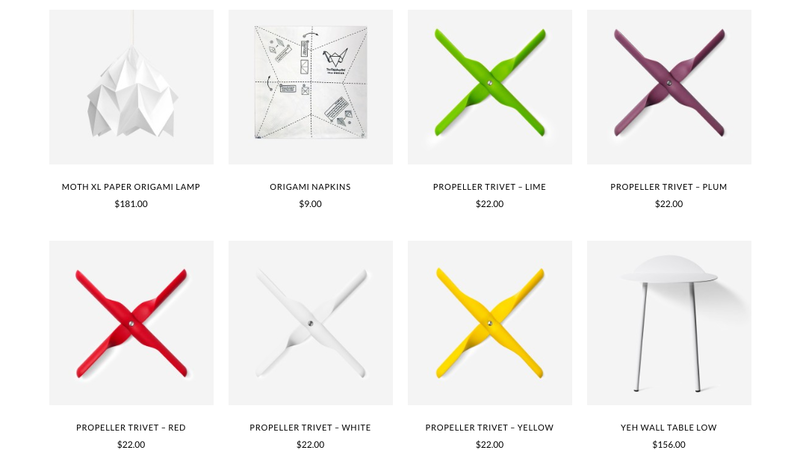 The brand’s name is rooted in Japanese language: “ori” meaning folding, and “kami” meaning paper. 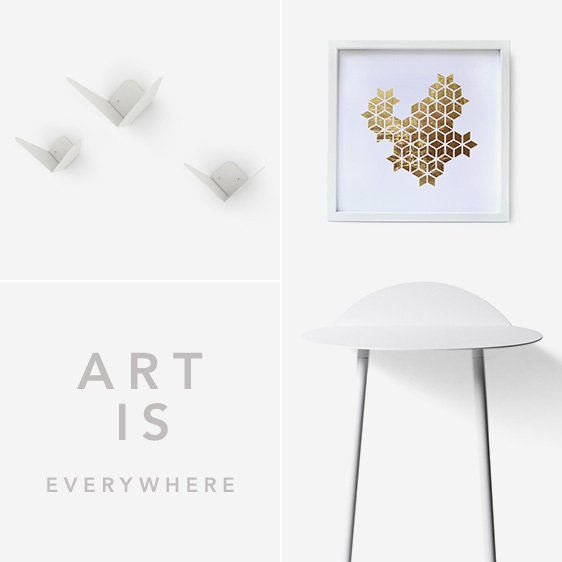 We source unique, handcrafted products from both new and established designers around the world to bring you specially made items in one convenient location. 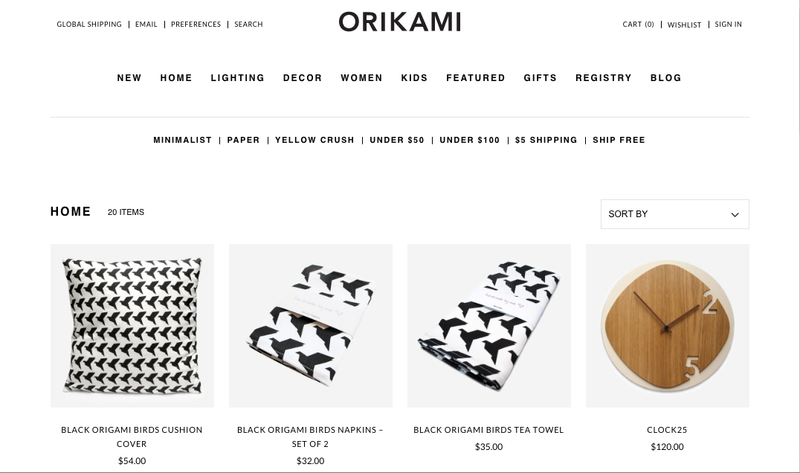 Orikami is the only store where you can shop for a variety of origami-inspired products, offering a judiciously selected mix of accessories, furniture, décor, gadgets, and nursery items. 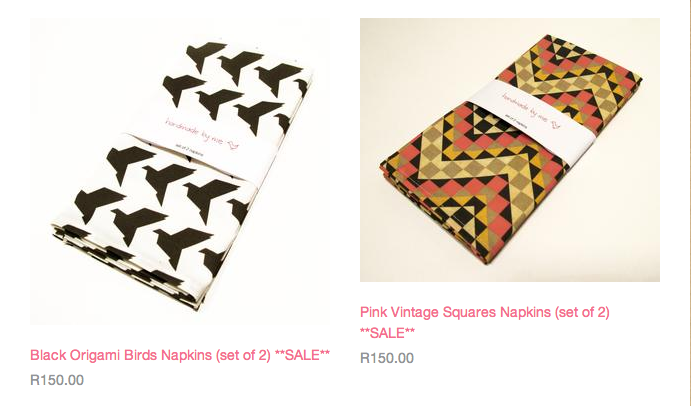 How absolutely gorgeous are the DIY origami napkins? I wish I had thought of those! And just a little reminder that we will be CLOSED for a little break from the 17th December to the 5th of January! 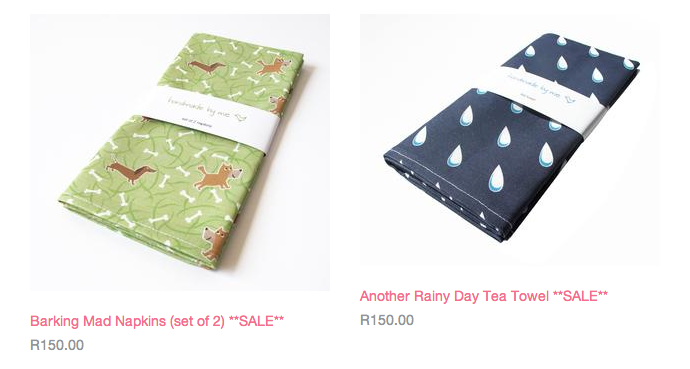 January 16th which is this wednesday is the last day for any orders from the handmade By Me online shop for Christmas. Please note that at this stage, if you want your order to arrive in time for Christmas, be sure to select the courier option when checking out. 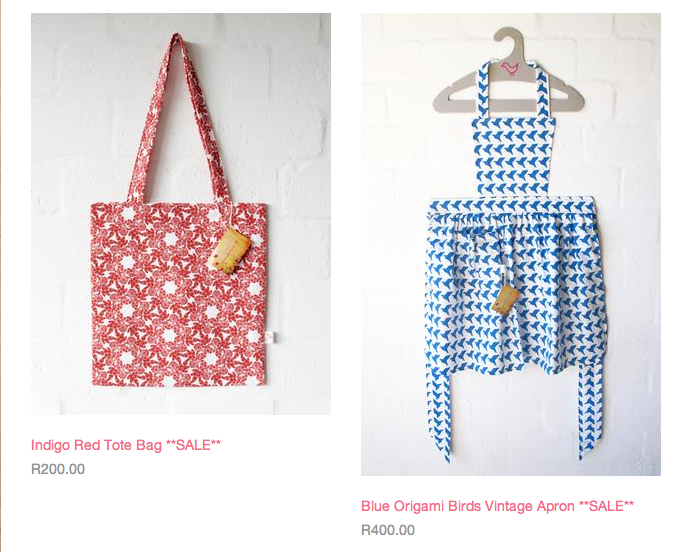 The sale is available at the Handmade By Me online shop and also at SAM (South African Market) where you are welcome to pop in and have a look. 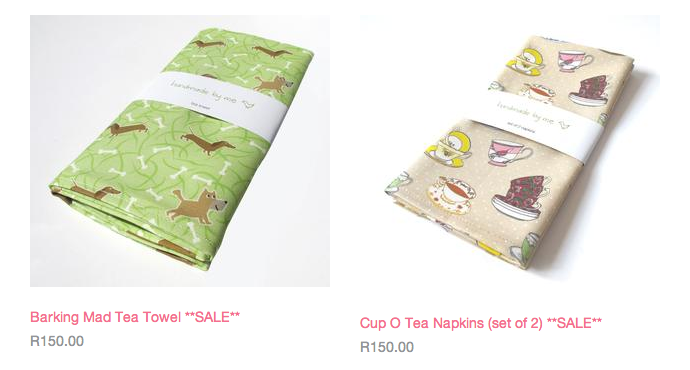 We have some great products on offer including some super cute napkins and tea towels. 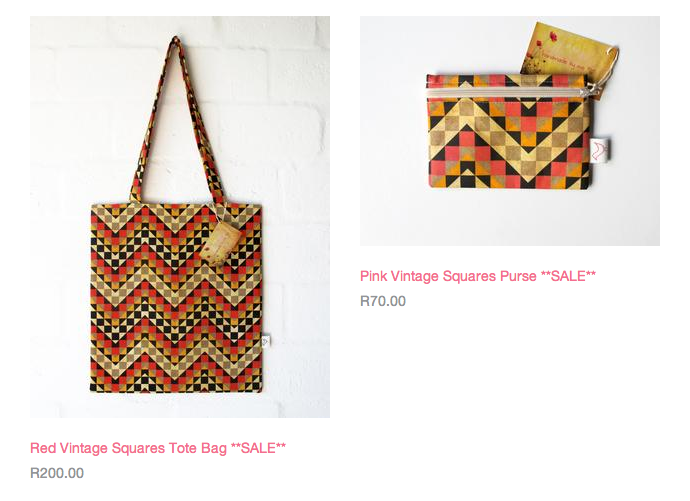 Shop the online sale here. 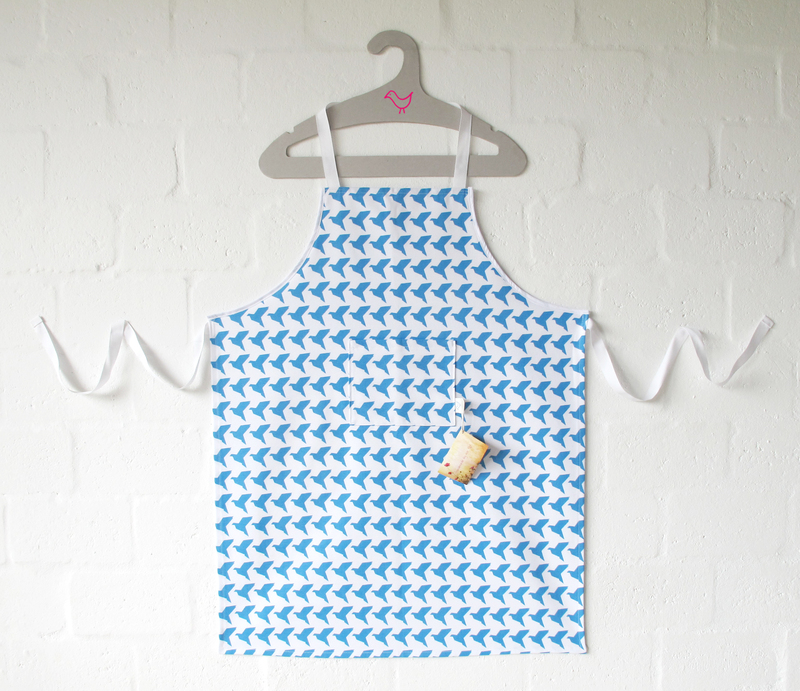 “I started Meisie after realising that the UK and Europe needed to see some of the amazing things that my fellow countrymen and countrywomen are making. 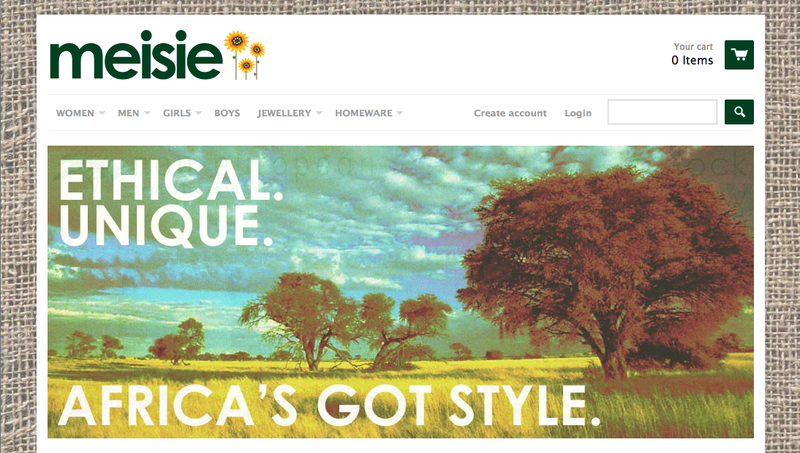 The idea of Meisie is to show you that Africa doesn’t just make wooden crafts; but has a wonderful collection of cultures that produce some amazing products and fashion. 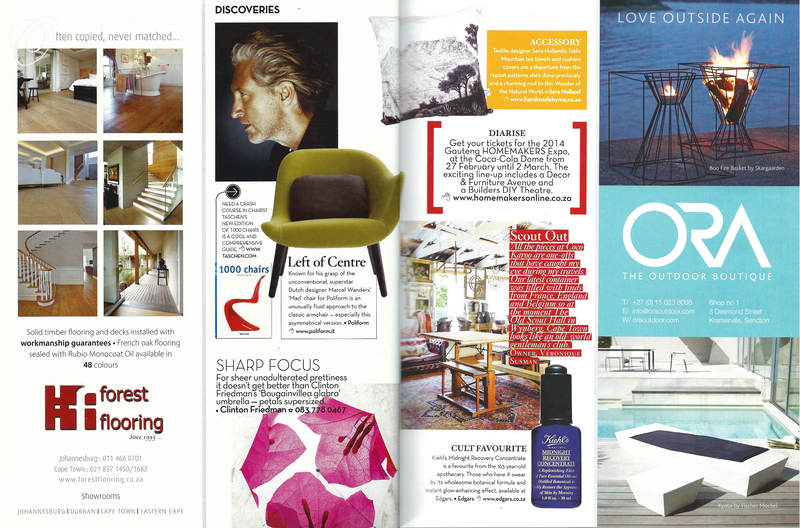 I hope you love the products as much as I do.” – Cassandra. Based in Wales, we are pleased to offer everything from clothing to homeware, crafts and jewellery. 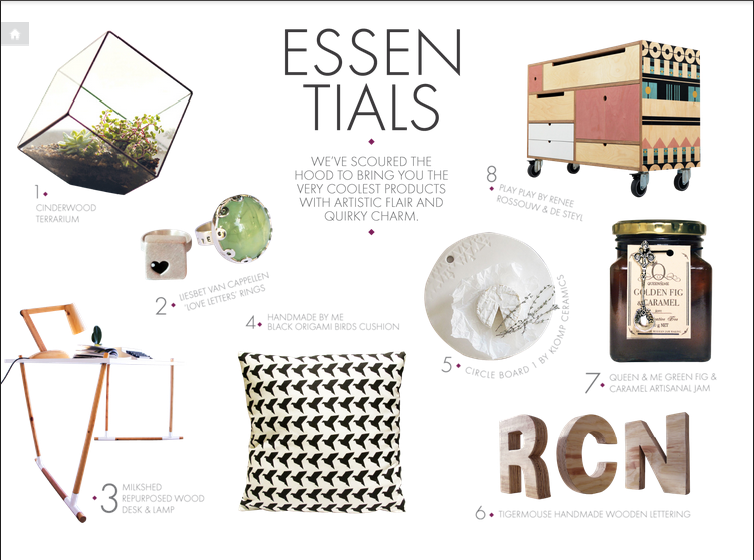 We have a great mix of vintage, modern and quirky products to suit men, women and children and we’re adding products all the time. All of the products you see are ethical and unique, you certainly won’t find mass-produced items here. 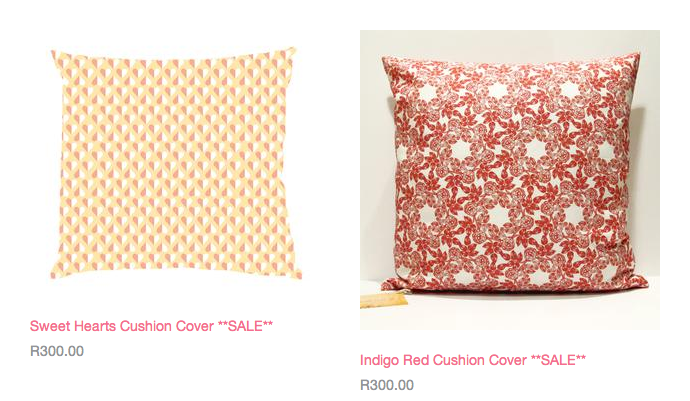 All items are designed and manufactured in South Africa from locally sourced materials by local communities. Being supplied by small-scale entrepreneurs and community development projects, the idea is to create sustained employment where it is needed most. 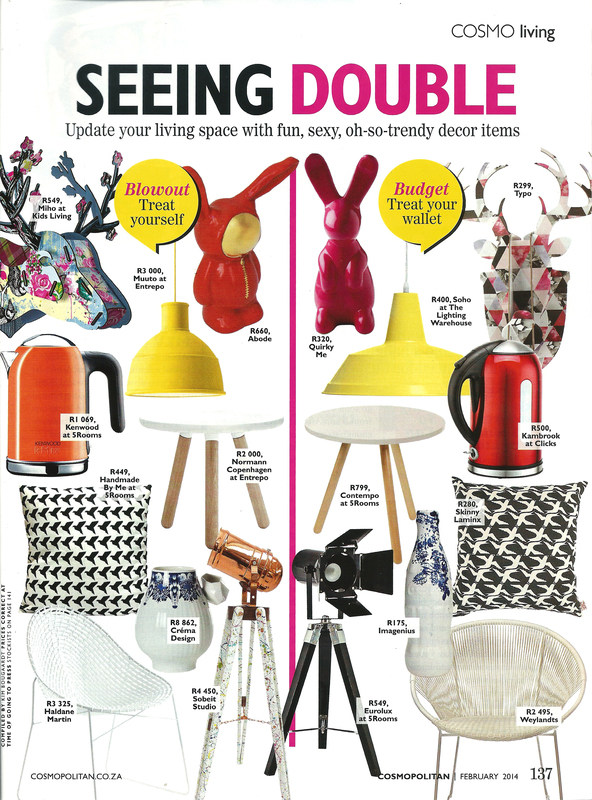 And just in case you missed the mention on facebook and twitter, the latest issue of Crush online magazine is out, and it features my Origami Birds cushion cover in their Essentials page. 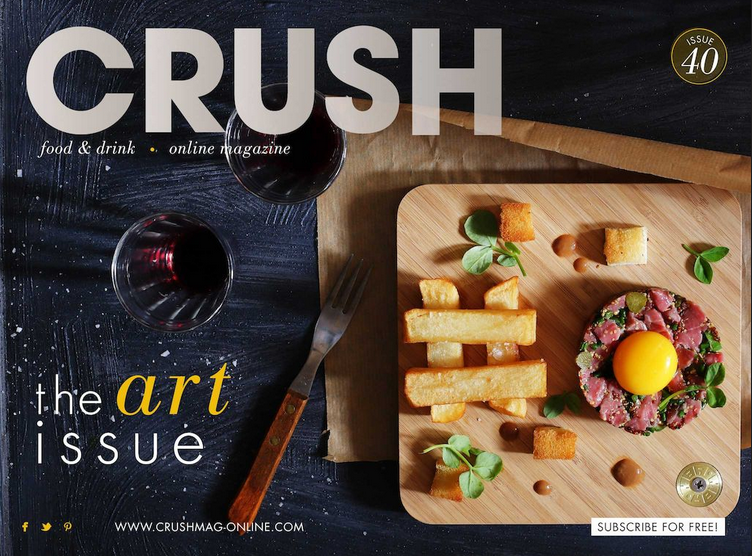 For those of you who don’t know already, Crush, is an award winning monthly, food, drinks and lifestyle publication (aka free online foodie magazine), and not only do they feature droolworthy restaurants and all kinds of delicious-related products, but they have a fantastic range of recipes to try. I have my eyes set on on the Picture Perfect Pavlova. 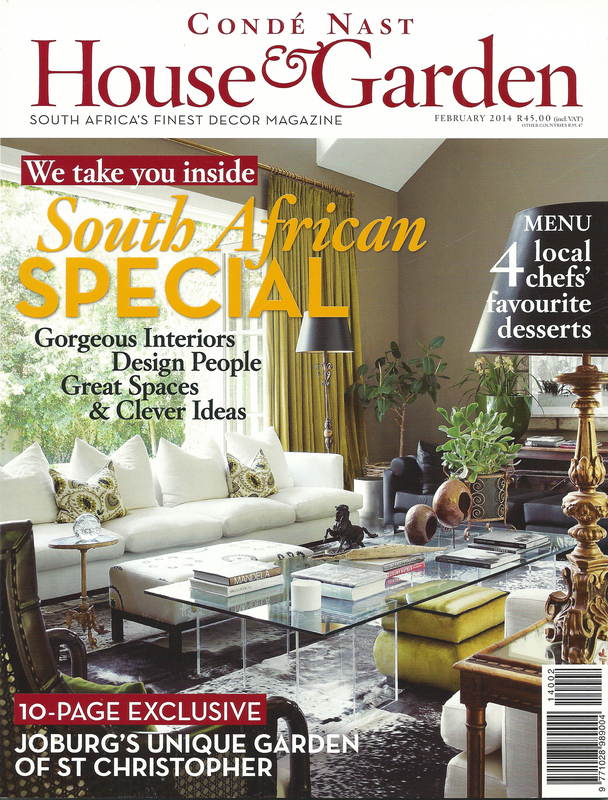 Check out the latest issue here. 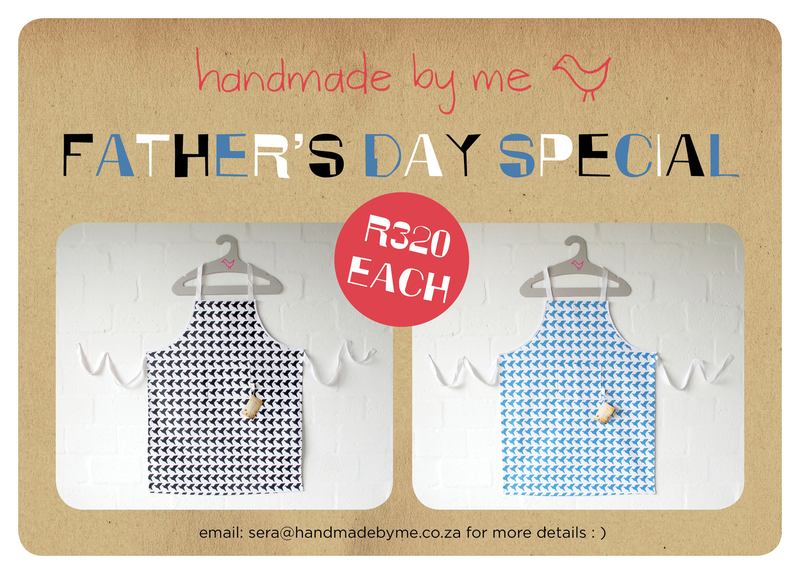 Sooooo just in case you don’t already know, it’s Father’s Day this Sunday, and so I have decided to have a little special here at Handmade By Me. 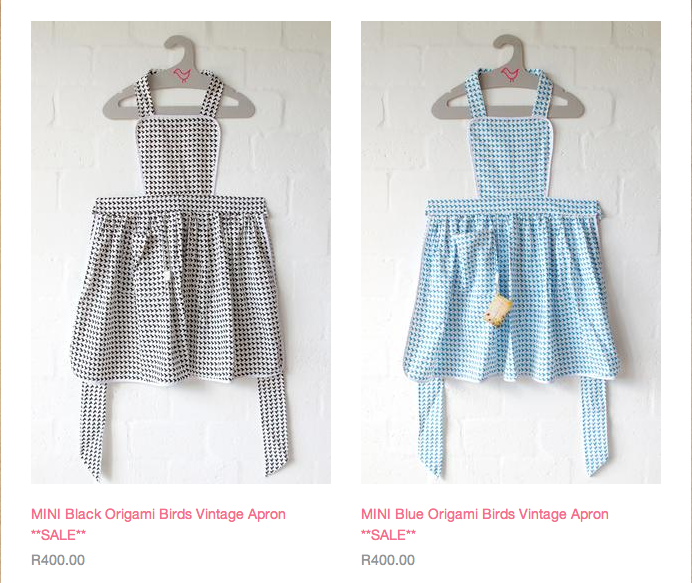 Our Origami Bird chef aprons are always a great gift for Dads, and so we’re knocking the price from R560 to R320 for THIS WEEK ONLY!! 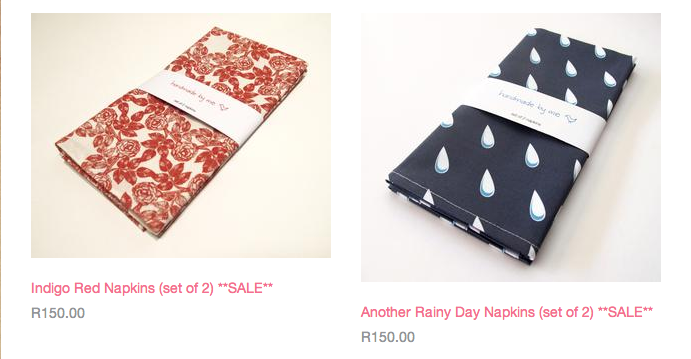 To take advantage of this one-off offer please email sera@handmadebyme.co.za with your order, and with my trusty courier service, we can get these delivered directly to your door overnight and just in time for the weekend. You may have noticed it has been a little quiet on the Handmade By Me blog and facebook page lately….well thats because I am getting married to the love of my life in 4 days time!!! And even though we are keeping things very small and simple, there are still a million and one things to do before the big day!! I find myself feeling very fortunate that I work for myself and can be pretty flexible when I need, but it is still so difficult trying to juggle two very important things! Needless to say, Handmade By Me is going on holiday for a week or so. We have only a one day honeymoon to look forward to (that was silly? ), but we have lots of friends and family over from Ireland so we will be eating and drinking and driving round the countryside making sure they have the best holiday ever (and come back and visit again soon ; )). 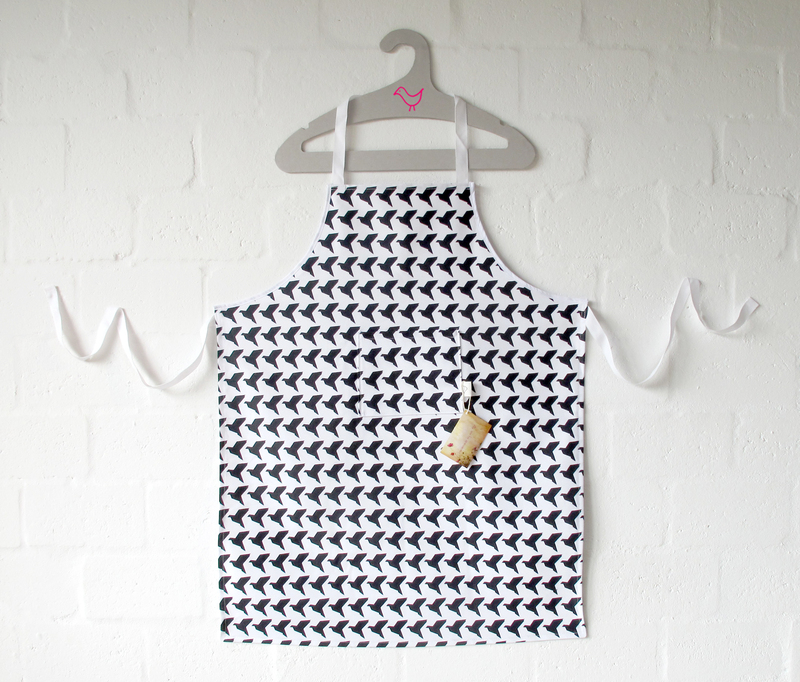 All of the above and more are available to buy from the Handmade By Me online shop : ) and various stockists!